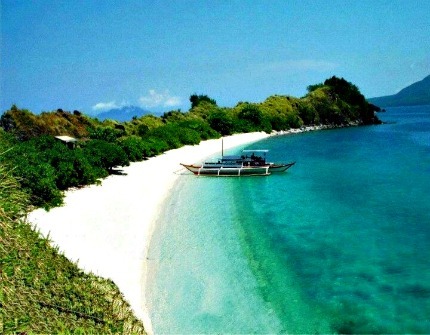 The province of Biliran may be famous for its tourist spots like the islands of Sambawan, Maripipi, Capinahan, and Higatangan. But there is also a town in this province that could also mesmerize you with its history and sceneries. The rural setting here is not peculiar, but does it make one wonder why the town is called Kawayan? The history of this town probably begun in the 16th century when Lapu-Lapu and his descendants from Mactan in Cebu Island traveled across the Visayan Sea where they discovered a safe place in the northern part of the Isla de Panamao. They assembled a settlement along the beach beside a tall rocky hill known as Subingsubing, which later served as their watchtower. The village they created was called barrio Telegrafo which became the Balacson village today. Because of the growing population, villagers started to travel northward to search for a new site that have potable water and fertile soil for farming. Those who choose to live in plains started to plant root crops, while some of them who settled in fishing built their houses in Sanggabon and Tubig Señora. “But they are still doubtful on their safety that they planted bamboo trees along the shores to hide them from the enemies,” said Herbert Bernadas, the town’s planning and development coordinator, citing local history books. The town became known as “Kawayan” due to vast land planted with bamboo. These giant woody grass grew so dense that the travelers were so impressed. The place was later named as Barrio Kawayan. The barrio (village) was then a part of Almeria, a pueblo in Isla de Panamao. Many controversies and debates arise when transferring of the seat of the town government was insisted. During the administration of Matthew MacFarland, the town president, that Kawayan was officially received its township from Almeria. As people today loves to travel to experience fun and adventure, there are also places that Kawayan can be proud of to its tourists. Visitors can ride a motorboat or pumpboat and travel for a few minutes to witness the beauty of its coasts. Some of these are the beaches of Cogon, Ginuroan Island. If they want to get a closer look with bats, they can visit a bat-cave in Tingkasan Island. “Maybe a few of the nation’s population may know what and where Kawayan, Biliran is, but it is never too late to recognize its history, scenery and beauty,” Bernadas added.